Craft distillate cartridges are available from our premium Sesh line. Distillate is produced by taking a cannabis concentrate and applying precisely controlled heat and pressure to extract individual cannabinoids and terpenes. The distillation process is repeated until the concentrate is refined and pure. Distillate oil is a pure product that is refined at the molecular level with a potency that ranges from 75-95% THC. 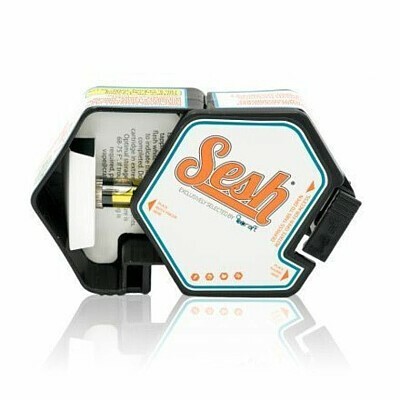 Our vape cartridges come in 500 mg packages.